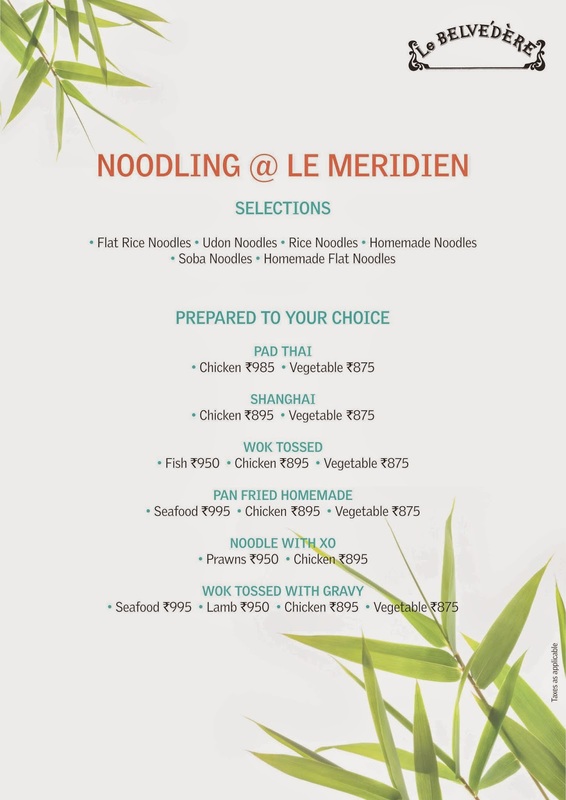 I have always liked the soups and stir fried (wok tossed) vegetables at Le Belvedere, the 20th floor Oriental fine dining restaurant at Le Meridien Hotel. 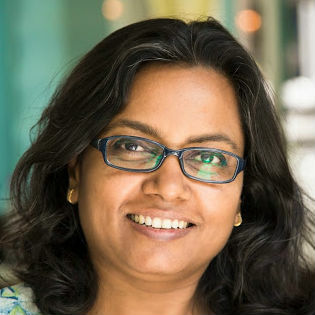 Apart from the beautiful view of Lutyen's Delhi, the top floor restaurant has actually impressed me with the consistency of the taste and presentation of the dishes, especially the seafood, the fresh vegetables stir fried minimally with just right seasonings, the way I like them. 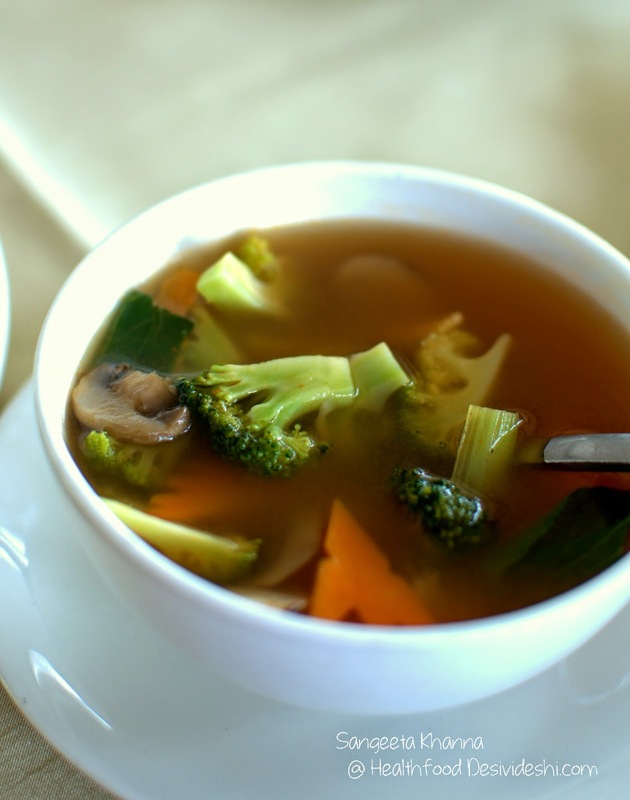 Chef Balkishen Chauhan makes the best clear soups consistently. 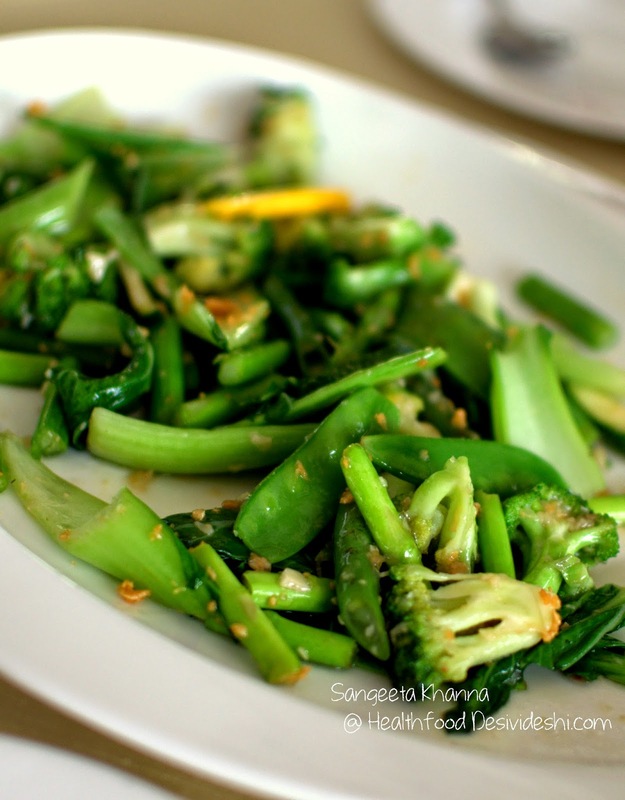 And the fresh vegetables wok tossed perfectly to retain the textures and the taste. I always order a platter for myself whenever I am eating there. This time I was there to get a taste of the Noodling festival, where they are showcasing different types of oriental noodles tossed up with seafood, chicken and vegetables. Among the noodles I liked the cold soba noodles tossed with seafood and vegetables and served with skewers of prawns. Here is the festival menu to choose from. One can always order more from the regular a la carte menu too. Pad Thai with chicken, Udon noodles with vegetables were also good. I wouldn't care for the crisp fried noodles with assorted vegetables, the texture doesn't work for me at all. But it was not just the noodles, I tried crisp lotus stem tossed with chives and onions, crispy fried squares of Tofu tossed with spring onion, and wok tossed chicken. These were really good. The taste of most of this food at Le Belvedere is fine tuned to suit the Indian palate that loves the Indian inspired Oriental food. Even the 'kimchi' served here would testify that. I have asked Chef Chauhan several times about the kimchi and this time he revealed people don't like soggy stinky kimchi here and ask for sweetish crisp 'freshly made kimchi'. And the taste of the patrons rules anywhere in the world. I don't care much for the desserts but Date pancakes, Apple fritters, Toffee banana, Dark Chocolate pastry and a sugar free Orange mousse is on offer, served with ice cream and blueberry compote. Quite an unimaginative serving to say the least, but I like these dry triangular date pancakes in small doses. Desserts definitely need to be better here. And all desserts don't need to be served with the same ice cream and the same blueberry compote. 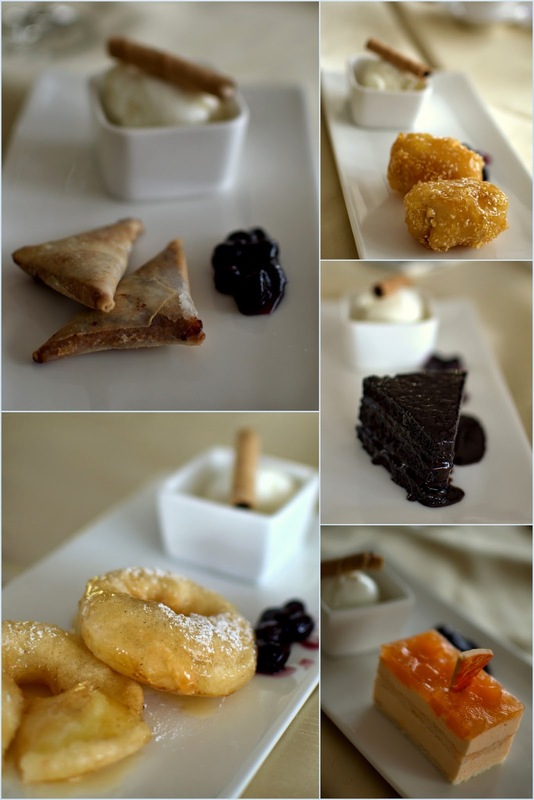 While the starters and main course dishes impress by the skill of presentation, desserts disappoint. Hugely. Taste wise, the Toffee banana is actually well done with a hard crystalline coating of sesame encrusted caramel. Apple fritters are well done too. 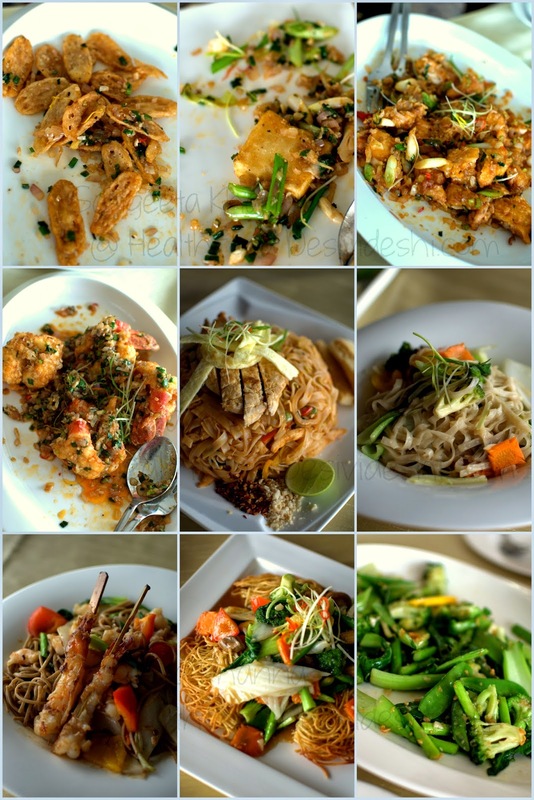 If you love noodles, you would not want to miss tasting all this variety. The festival is on till the end of this month, go have a taste of a few of these Oriental flavours with your choice of noodles.